Dream Pod 9's Heavy Gear Blitz Miniature Painting Contest returns for the Summer of 2018! 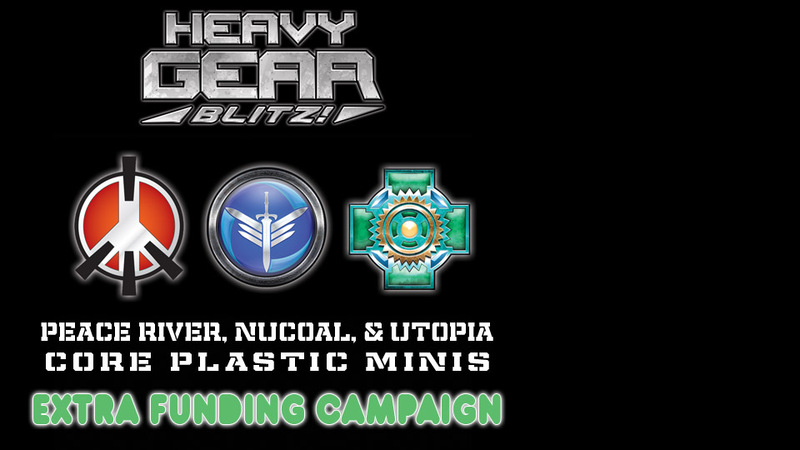 We'll have 3 categories (Best Heavy Gear Blitz Miniature, Best Combat Group, and Best Duelist) with prizes for each. Checkout all the details, rules, and submission guidelines below. Entry deadline is midnight EST on September 30th of 2018, so you all have plenty of time to get assembling and painting your favorite Gear, Strider, Vehicle, or Combat Group of 4 or more miniatures. Best Heavy Gear Blitz Miniature. Kickstarter Update: Peace River Spartan Two Pack 3d Printed Parts Preview! Another small update today, this time spotlighting the Spartan Two Pack pewter miniatures for Peace River, first being released thru the Kickstarter. The Spartan Two Pack is available as an Add-Ons for an extra pledge and is included in the Hero of Peace River and Hero of the Badlands Reward Levels. Read more about Kickstarter Update: Peace River Spartan Two Pack 3d Printed Parts Preview! 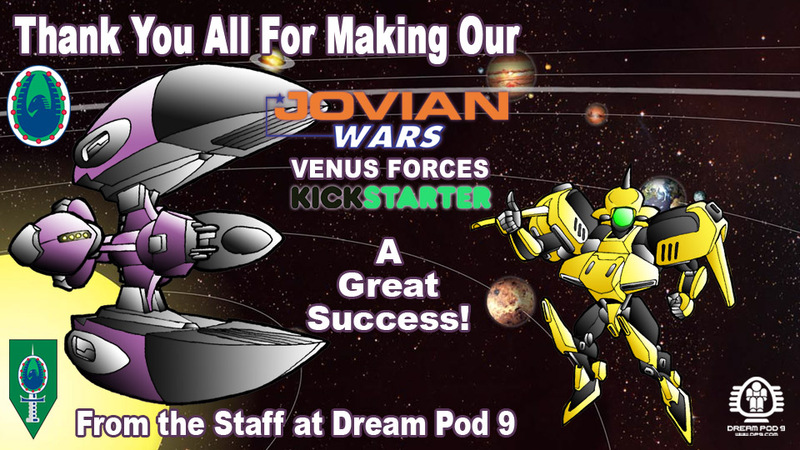 Kickstarter Update: Stretch Goal 03 Unlocked! The 3rd Stretch Goal was unlocked this evening with $32.5K CAD Pledged, thank you to all our Backers. We'll be adding 1 more Warrior IV plastic mini to the Peace River Army & Badlands Commander Reward Level Packages and their Hero of Versions. 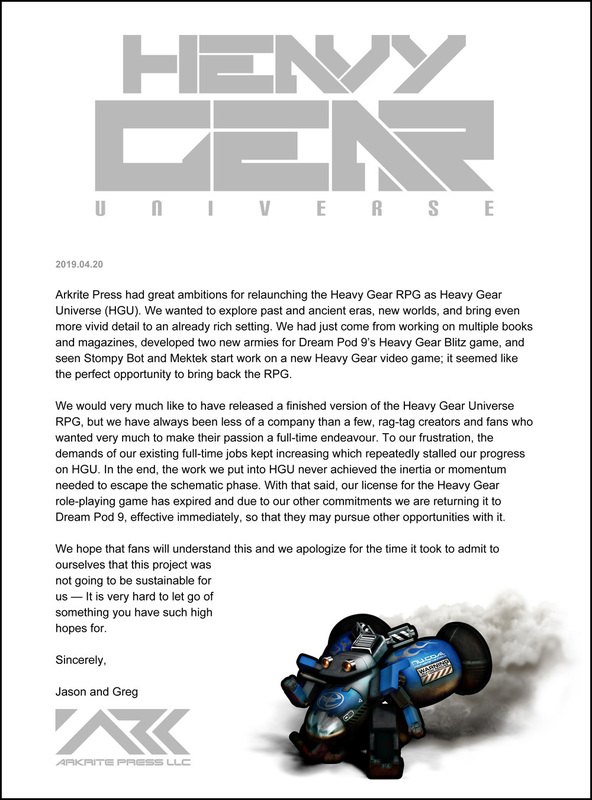 Read more about Kickstarter Update: Stretch Goal 03 Unlocked! Kickstarter Update: Peace River Mameluk Two Pack 3d Printed Parts Preview! A small update today, spotlighting another of our Peace River Add-Ons for an extra pledge and that are included in the Hero of Peace River and Hero of the Badlands Reward Levels. The Mameluk Infantry Fighting Vehicle Two pack are new resin & pewter miniatures for Peace River, being first release thru this Kickstarter. Checkout the image below with different views of the 3d model and photo of the printed parts, made using a Formlabs 3d printer. The final Mameluk main hull part will be in resin and the turret & weapons will be in pewter. Read more about Kickstarter Update: Peace River Mameluk Two Pack 3d Printed Parts Preview! Kickstarter Update: Chasseur Plastic Miniature 3d Printed Parts & Assembly Preview! This update we have a preview of the NuCoal Chasseur plastic miniature 3d printed parts. A Big Thank You, to the newest member of the Dream Pod 9 team, Stephen Rider, for 3d printing the parts on his Formlabs printer, doing a quick cleanup, assembly, and taking some photos. The Chasseur 3d model parts are the first test parts printed, we plan on 3d printing all the new plastic miniature parts to check size and fit of the parts and then make any adjustments needed to the 3d models. Read more about Kickstarter Update: Chasseur Plastic Miniature 3d Printed Parts & Assembly Preview!